On the weekend of October 6th/7th, the British fleet took on their Irish and Dutch counterparts in a series of ferocious sea battles in the waters of Dublin Bay. No empires were at stake here, instead a large amount of pride and a coveted cannonball.The Cannonball Trophy is contested each year between teams from the RLYC, the Royal St. George Yacht Club from Dun Laoghhaire, Dublin and the Royal Netherlands Yacht Club from Muiden, Amsterdam. This year it was the turn of the Irish to host the event and they provided two flights of three "Glen" class yachts to race in.These are charming little yachts built to a traditional 1948 design, not at all what anyone was used to team racing in and the novelty added another dimension to the challenge.The RLYC team comprises RLYC members and British Dragon sailors, this year's team being members Giles and Jane Peckham with Lisa Guy on one boat, Graham and Julia Bailey with a press-ganged Dutch lady on the second boat and Tom Hill with Joshua Bell and Louis Manners on the third. George Chapman provided umpire support for the organising team. 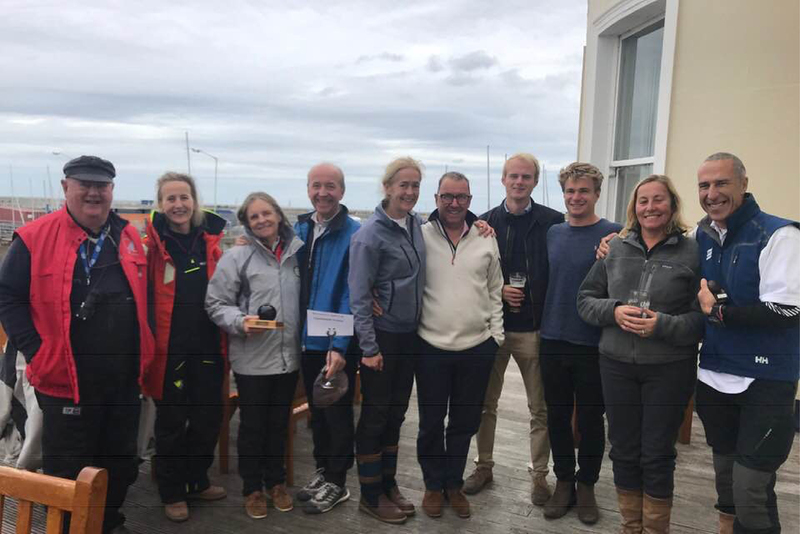 With two rounds of racing completed on the Saturday, the British team had beaten both the Irish and the Dutch teams 2-0, while the Irish and Dutch teams had each beaten the other once. With a small craft warning issued for strong winds the following afternoon it was decided that we would only be able to complete one more round on the Sunday. That meant the British lead was unassailable but the Irish and the Dutch would be fighting for second place. Nonetheless, the Brits fought hard, coming from behind to beat the Irish but failing to recover from a bad first leg and losing to the Dutch. As the Dutch also beat the Irish, they took second prize, a result they were delighted with. As usual, the legendary Irish hospitality gave everyone a weekend to remember. The Cannonball Trophy will reside at the RLYC until the next event hosted by the Dutch in October 2019.